Thank you for joining us for this 60 minute My 15 Minutes Small Business Online Workshop recording. We’re thrilled to be sharing a stack of lessons we’ve learnt over the last five years in business. No matter what your business is, there are mindset tools and practical activities that can help you beat procrastination, overwhelm and self-sabotage. We hope you find some inspiration in this recording - and we'd love to have you join us in the My 15 Minutes Summer School if that sounds like something you'd enjoy. If you have any queries, thoughts or suggestions, just let us know. 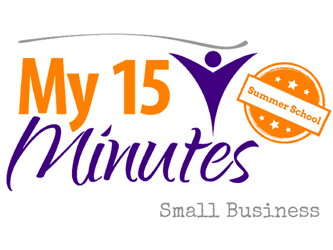 Drop us a line at support@my15minutes.com.au and we’ll get back to you within 24 hours.